Now is the best time to buy | TVS Wego scooter. 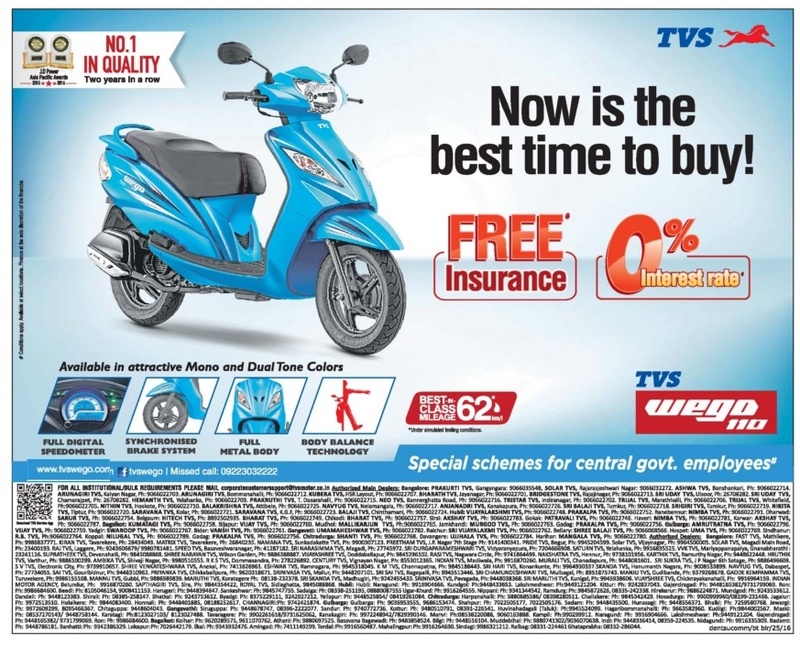 TVS Wego Free insurance + Zero 0 % interest rate. Special price for central govt employees.